Don’t miss out! 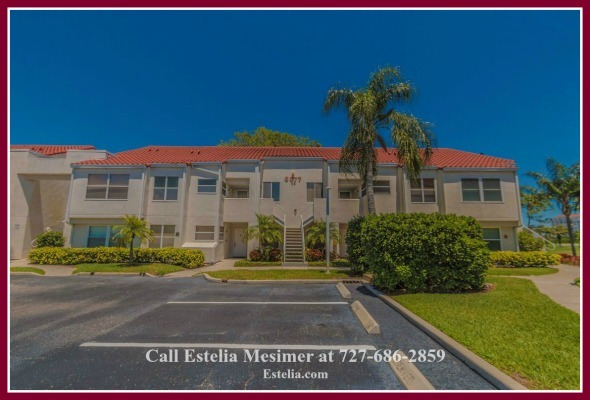 Exquisitely remodeled condo just for you! 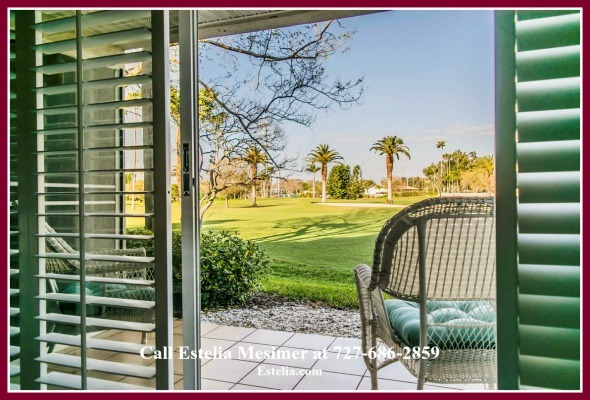 If you’ve ever dreamt of owning a fabulous condo that’s conveniently located in a golf course community, then this is your chance. 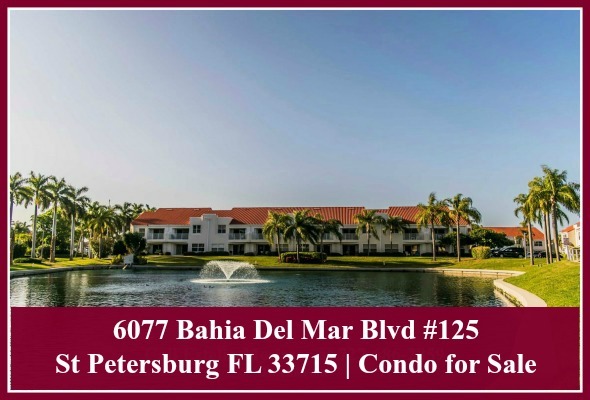 This condominium for sale in St Petersburg features 2 bedrooms, 2 bathrooms, and an upgraded kitchen with a separate dining area. Built in 1988, this condo offers 1,075 square feet of living space in the Vista Verde East subdivision. 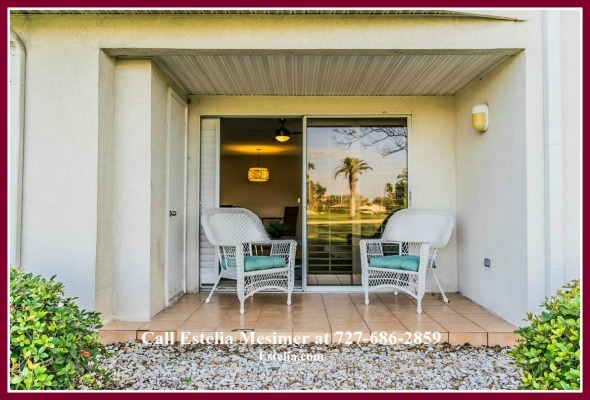 Ideally located on the Isla Del Sol championship golf course, this condo is a perfect investment property. If you won’t be living there for a year, it’s an amazing vacation rental in a desirable community. Step inside and you’ll instantly fall in love with the move-in ready ground floor condo. The entire place is freshly-painted in a neutral color that will complement any design you choose for your furniture. 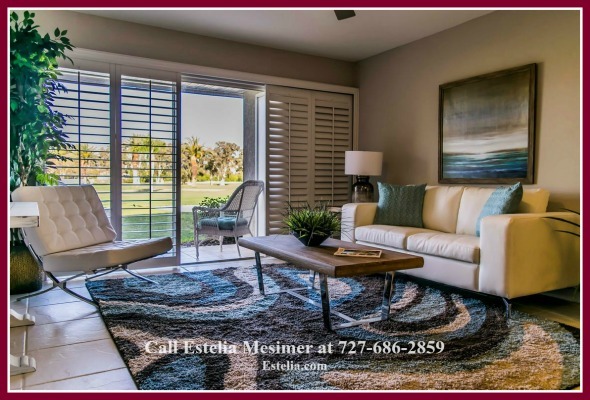 Golf condo for sale in one of the best St Petersburg communities! Get the ultimate rest and relaxation with the spectacular view of a sprawling golf course right at the comfort of your living room. Take a break from watching the news or reruns of your favorite TV series and spend your afternoons enjoying the view of clean, well-maintained grass and an array of gorgeous trees. 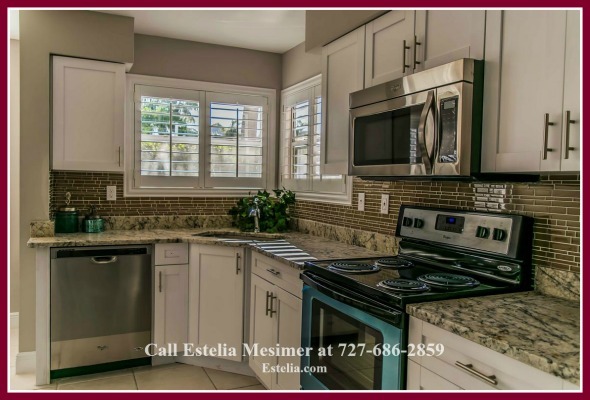 Prepare delicious meals in the upgraded eat-in kitchen which includes Shaker maple cabinets, leather finish granite countertops, and brand new stainless steel appliances such as dishwasher, range, dryer, disposal, and refrigerator. 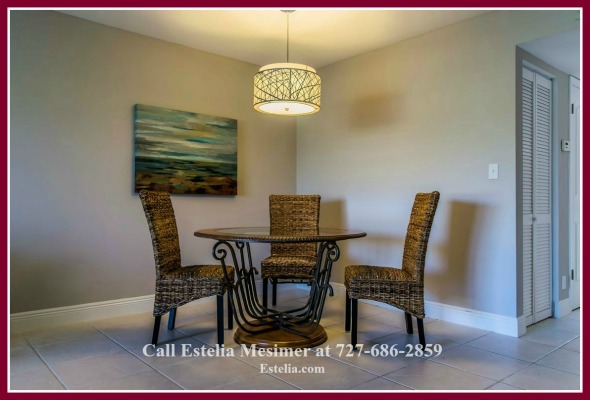 This St Petersburg FL condo for sale also comes with a separate dining area where you and your family can gather around for a hearty breakfast while discussing your plans for the day. Reduced price on this move-in ready condo in Vista Verde East! Aside from the upgrades in the kitchen area, the bathrooms in this property are also beautifully redone with a luxurious bath tub, double vanity with marble sinks, and plenty of closets for all your storage needs. After a long day of playing golf, sink under the covers and turn the bedroom into your private sanctuary. Enjoy a much-deserved rest after a long day at work and get pampered and ready for the next day. Another reason to fall in love with this property is that there are plenty of recreational features and amenities that you can enjoy with your entire family. 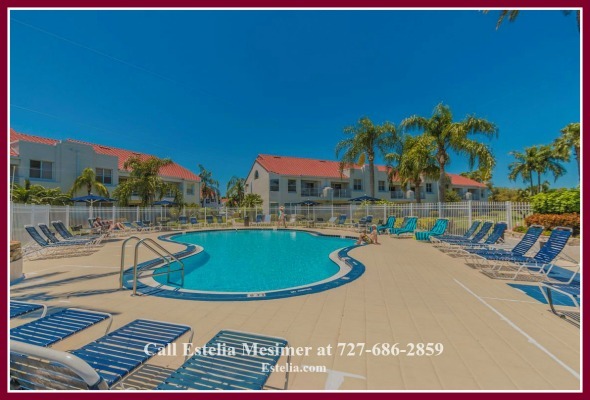 It has a sparkling heated pool, a fitness center, a spa, a recreation building, and Tampa Bay’s famous 18-hole Isla Del Sol championship golf course. 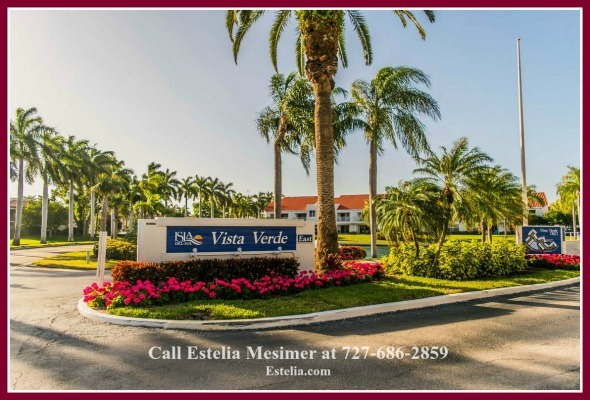 This property for sale in the condominium community of Vista Verde in Bahia Del Mar is conveniently located – 2.5 miles to I-275 which takes you to downtown St. Petersburg, 2 miles to St Pete Beach, and just a few minutes away from the Fort DeSoto State Park and Beaches. You’ll never run out of things to do when you live in the fabulous golf community of Isla Del Sol. From a gorgeous exterior, newly remodeled interior, and a reduced $241,000 price tag – you’ll have a hard time trying to look for something like this condo for sale. Notice: This is a REALTOR® owned property. 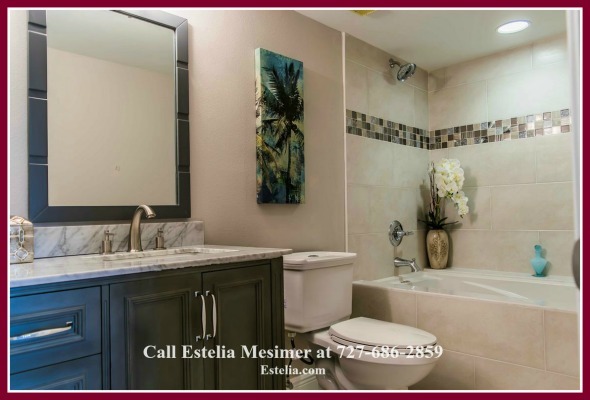 If you’re looking for similar properties in the area, feel free to check my website out at www.Estelia.com. Your dream property awaits! 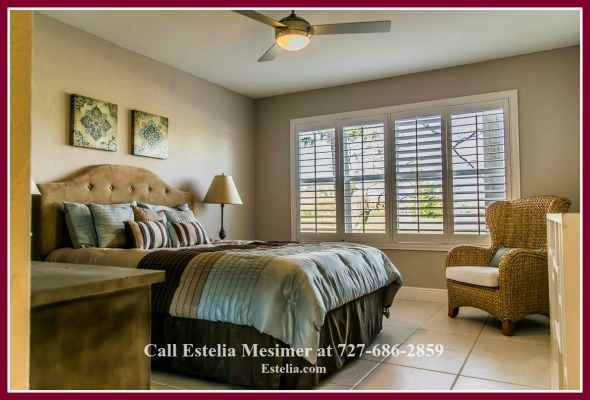 Call me, Estelia Mesimer, at 727-686-2859 to schedule a viewing today.